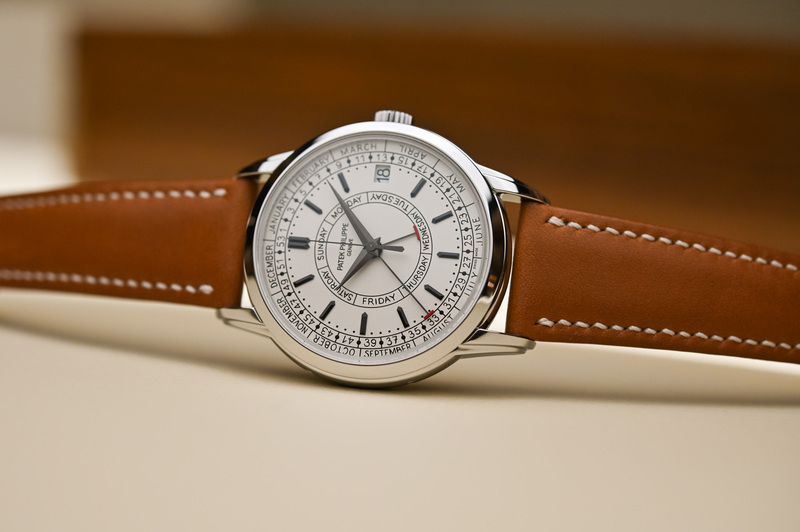 Patek Philippe gets down to business with a new complication that indicates the week number in a steel Calatrava case and a winning retro spirit. Like a good thriller, the Calatrava Weekly Calendar 5212A is packed with subtle clues that offer us a glimpse into the strategies of its maker. More complex than the élite and minimalist line-up of Calatrava watches, the Weekly Calendar also departs from its family heritage of precious metal cases and flaunts a stainless steel case. Currently the only Calatrava watch in steel, the 5212A gets some of its design elements from a 1955 ancestor, it comes with a sector dial, a winning touch of “handwritten” font on the dial, and a new movement. 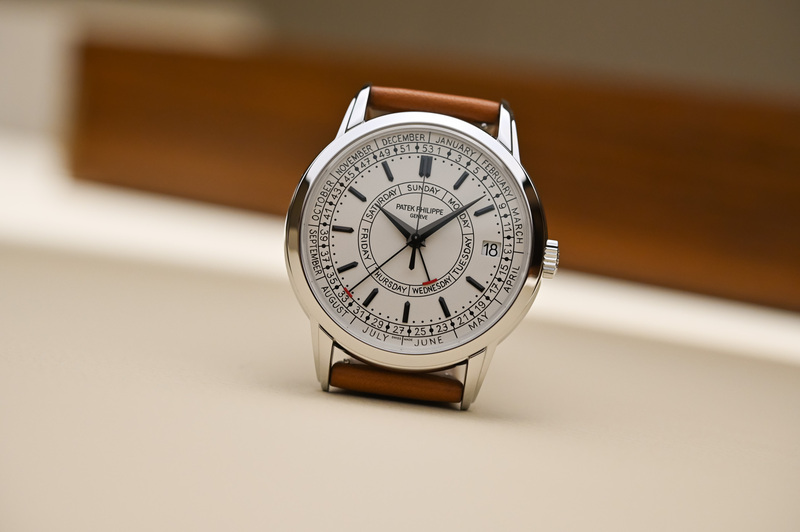 Although it is the first model to offer this unusual combination of calendar functions, the Weekly Calendar transmits the reassuring feeling that it has always been a member of the Patek dynasty. 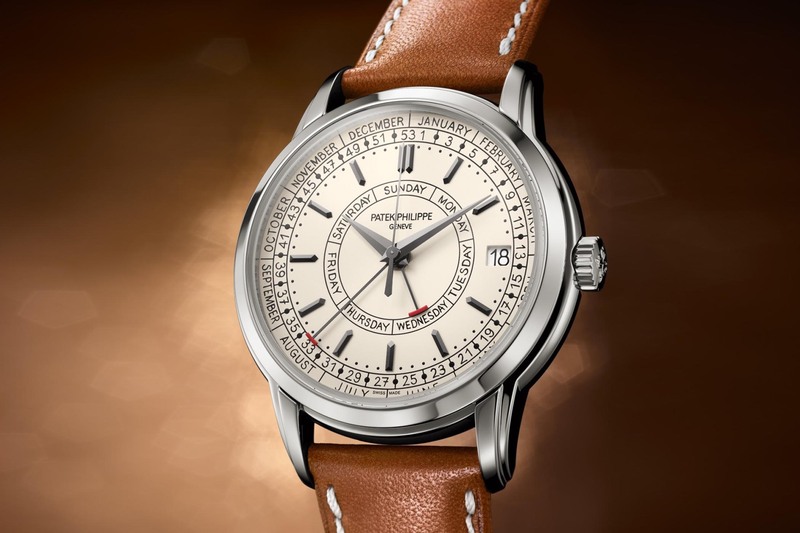 Patek’s expertise in calendar watches – and combinations of sophisticated calendars with other complications – is legendary. 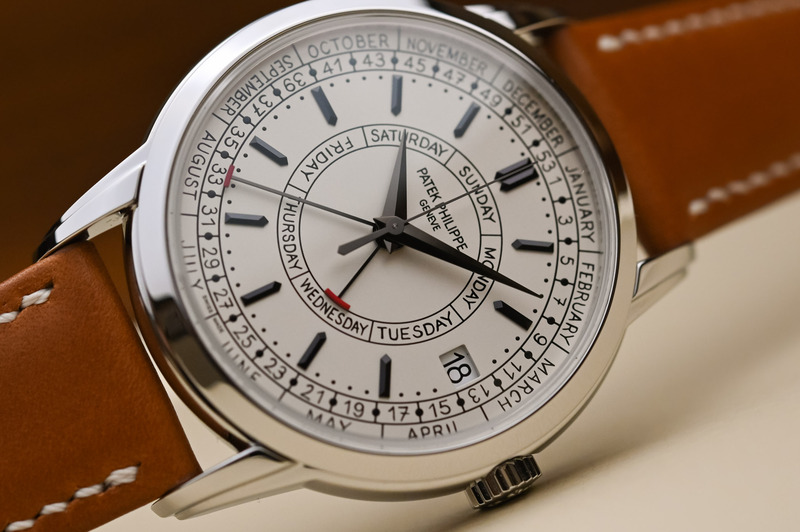 Taking a different tack from the classic aperture/sub-dial layout of its classic calendar watches, the Calatrava Weekly Calendar adopts an unusual calendar complication and a sector-style dial. 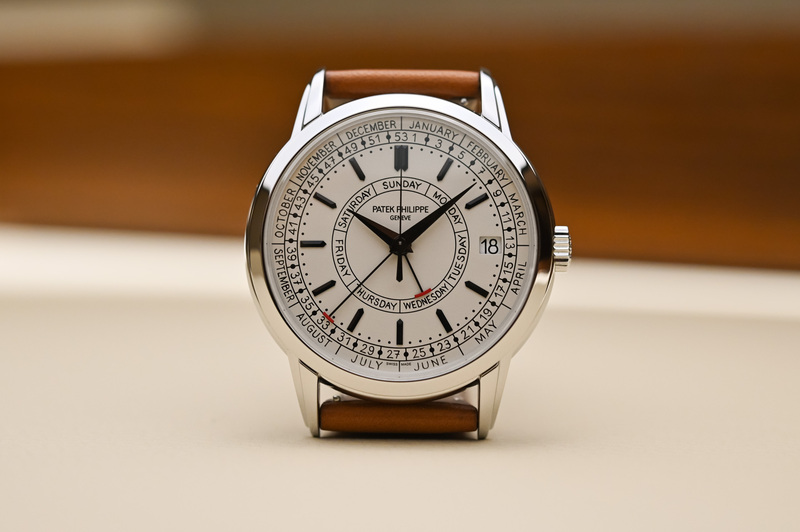 According to Patek, the Weekly Calendar 5212A forms part of its strategy to expand its offer of “useful complications”, in this case, the incorporation of a weekly calendar function that is most often used in business environments. With a price tag of about 30 grand, is the steel Calatrava filling the gap for an everyday stainless steel watch that can’t be fulfilled with a mythical Nautilus? Who uses week numbers? Common in business environments around Europe for production schedules and delivery dates, classic examples of industries using week numbers are the automobile sector, but also watchmaking, publishing and even finance. Most years have 52 weeks, but if the year starts on a Thursday or is a leap year that starts on a Wednesday, that particular year is said to have 53 weeks. Add to this that week numbering systems vary around the world (United States, Canada, Australia, and New Zealand all start the week on Sunday), it’s not surprising that an International Standard was drawn up – ISO 8601 – marking Monday as the first day of the week and establishing that the first full week of the year is that containing January 4. Watches that display the number of the week are few and far between; there is the Audemars Piguet Royal Oak Perpetual Calendar with the number of the week on a black chapter ring, the Oris Artelier Calibre 113 with a similar configuration, and the Blancpain Semainier 53 Week. 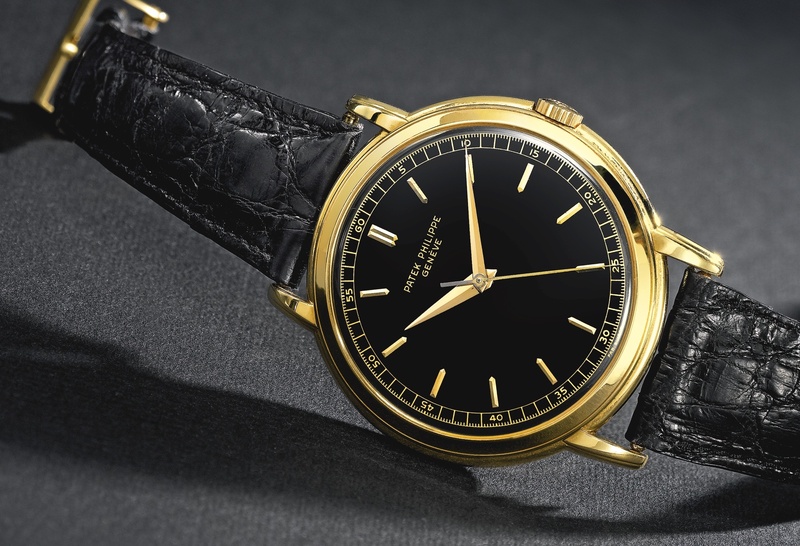 As you would have expected from a timepiece housing 57 complications, Vacheron Constantin’s Ref. 57260 also has a week number function, but it’s a pocket watch so it doesn’t really count. VC also had another watch, the reference 47052, which features the indications of the week numbers in practically the same way as the 5212A. 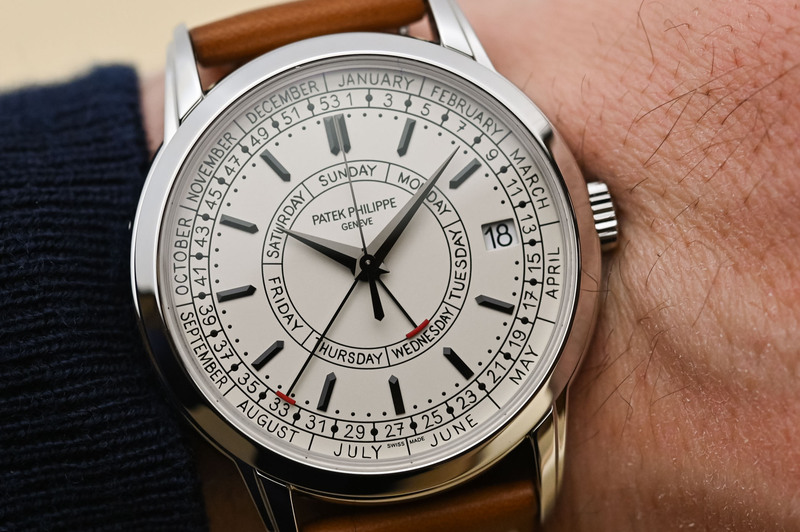 With the unabated rage for retro, Patek Philippe had no difficulty whatsoever in finding inspiration for the case of the Calatrava Weekly Calendar. 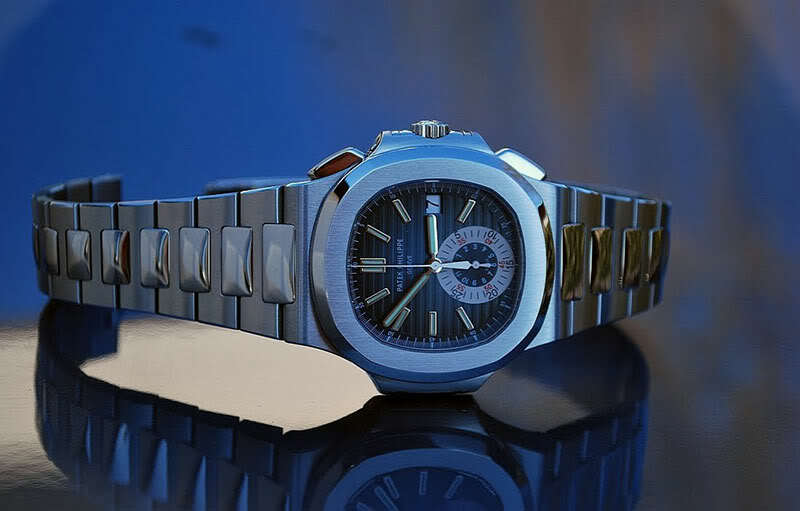 Proudly exhibited in the Patek Philippe Museum, Ref. 2512 was the designated muse. A one-of-a-kind piece made in 1955, the particularity of this time-only dress watch was its absolutely massive 46mm yellow gold case. As big as a contemporary IWC Pilot or Panerai watch, this gargantuan was sold at auction for a whopping US 962,500 by Sotheby’s New York in 2012. The unique oversized ref. 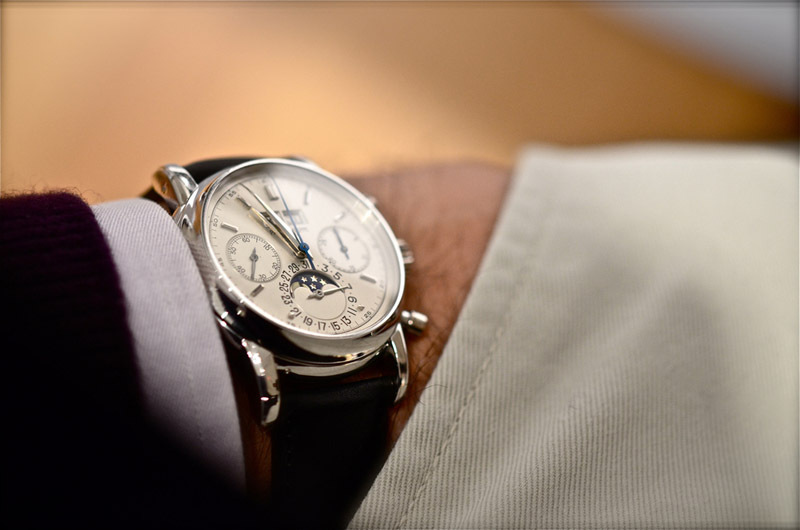 2512 exhibited in the Patek Philippe Museum – image by Sotheby’s. Luckily the case size was not the trait that attracted Patek’s designers. It was the complex and dynamic silhouette of the lugs of Ref. 2512 that caught their attention. 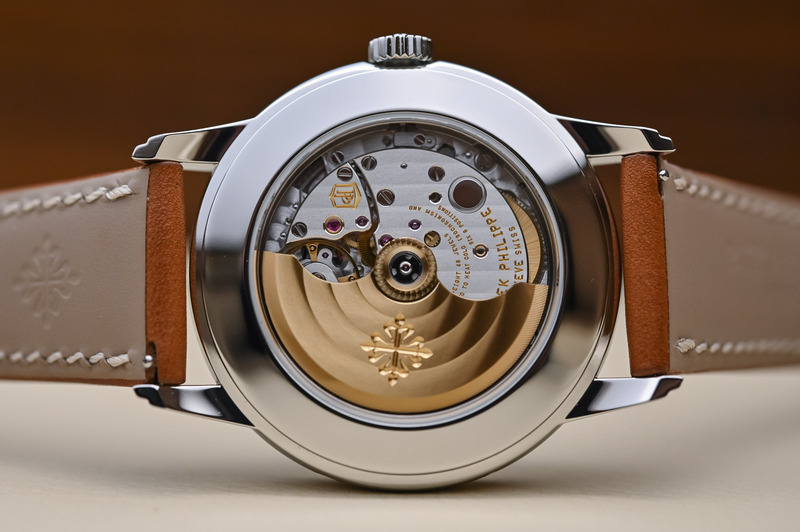 Recreated on the Weekly Calendar, the two-tiered lugs protrude slightly above the height of the caseband – technically very difficult to accomplish. In deference to its ancestor, the new watch bears the numbers of the original reference (2512) in a different order (5212). Currently the only stainless steel dress watch in the Calatrava collection (not taking into account the limited edition steel Ref. 5222A Pilot’s Calatrava which sets apart as a pilot-inspired piece), the Weekly Calendar 5212A is the odd one out. For an in-depth history of the evolution of the Calatrava, don’t miss Tom Mulraney’s articles Part 1, Part II and Part III. With its wearable 40mm diameter and lean 11.18mm height, the watch remains a dress watch but offers the practicality of steel. The three-part case is cold-formed with high-tonnage presses and is beautifully polished by hand. The snap bezel and snap back are pressed onto the caseband and the case is water-resistant to 30m. The use of stainless steel, usually reserved for the luxury sports Nautilus or Aquanaut models, brings a refreshing, slightly more casual feel to the mix. If you tally the light brown calfskin strap with white stitching and a prong buckle, you are definitely looking at a less august, precious watch that begs to be worn on a daily basis. Protected by a vintage-style box sapphire crystal with a slightly cambered profile, the opaline dial of the Calatrava Weekly Calendar 5212A represents a departure from Patek’s usual line-up of calendar watches. Closer to a sector dial with concentric circles to display the calendar functions, the dial is extremely easy to read and has an almost ‘tool’ watch feel to it. Starting from the outermost part of the dial, the two concentric scales display the months and corresponding week number. The next circle relays the time with baton-style indices that are very similar to the facetted baton markers found on the Ref. 2512. 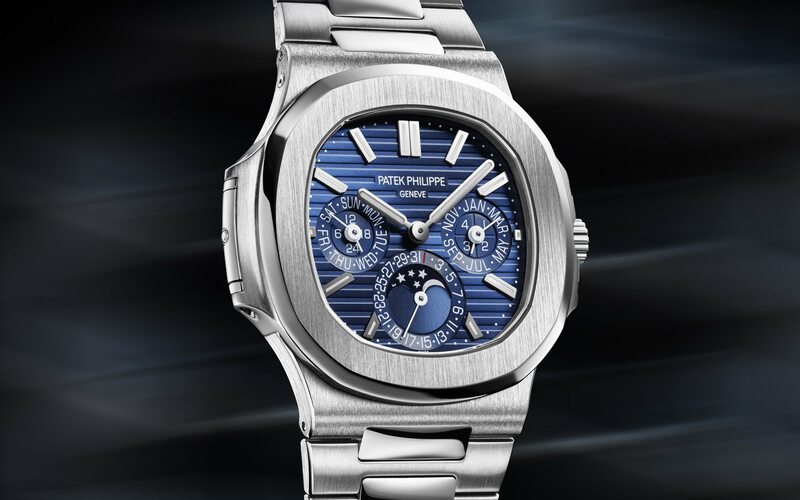 Just look at the profile of those indices or the sharp sloping facetted hands for a feel of what Patek does best. Moving in a step further are the days of the week. If you were to give these specs to a designer, the result would probably be quite a cold, utilitarian dial with perfectly executed numerals and writings. 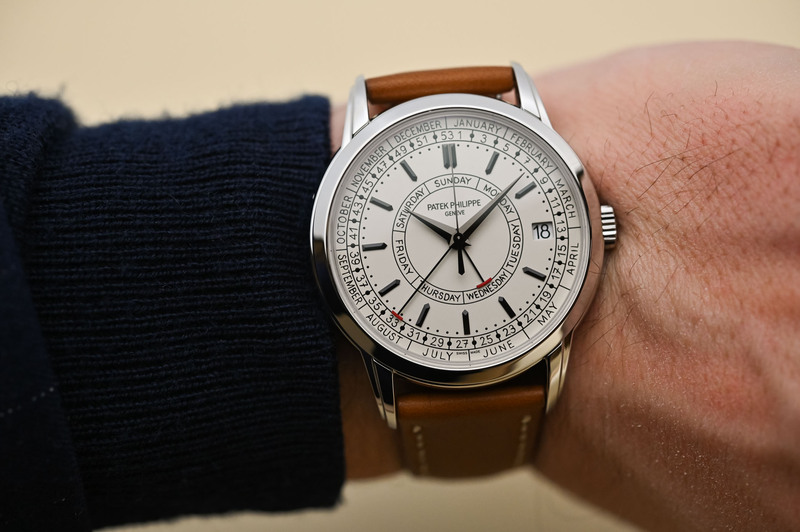 This is where Patek Philippe has excelled because the dial of the 5212A relays a unique “human” touch provided by the typography, which was created for this watch based on the handwriting of one of the company’s designers. Unique, original and quite charming, this touch counters the somewhat business-like information being relayed on the dial. All the indications, except for the date window at 3 o’clock, are read by five superimposed, centrally mounted hands. Starting from the top is the slender central seconds hand with a thicker counterbalance followed by the facetted Dauphine hands for the hours and minutes made from blackened white gold. Two highly visible red hammer-tipped hands of different lengths are used to signal the days of the week and the week number and month. 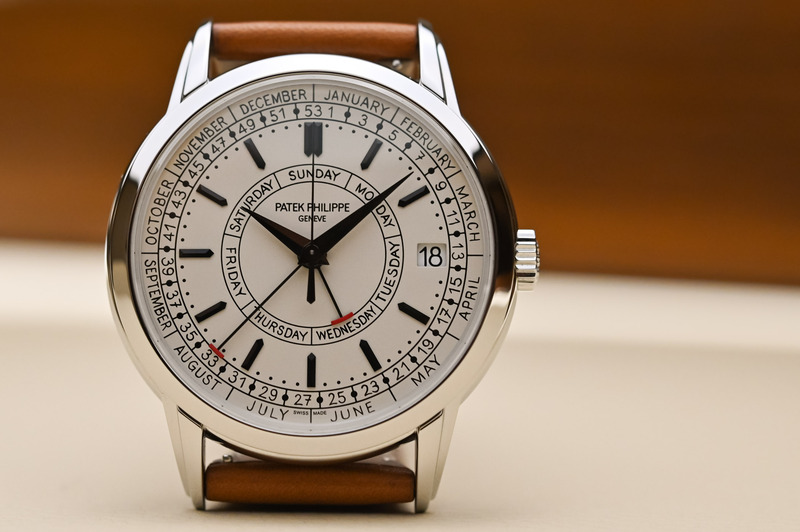 For its new Calatrava Weekly Calendar 5212A, Patek Philippe has developed a new semi-integrated mechanism (92 additional parts and a slim height of just 1.52mm) to display the days and number of the week in course. Two patents have been filed for the calendar mechanism; one for the 24-hour finger (with its own return spring) driving the day of week mechanism, and a second one for the innovative weekly calendar drive mechanism, which causes the week number hand to advance every Monday. 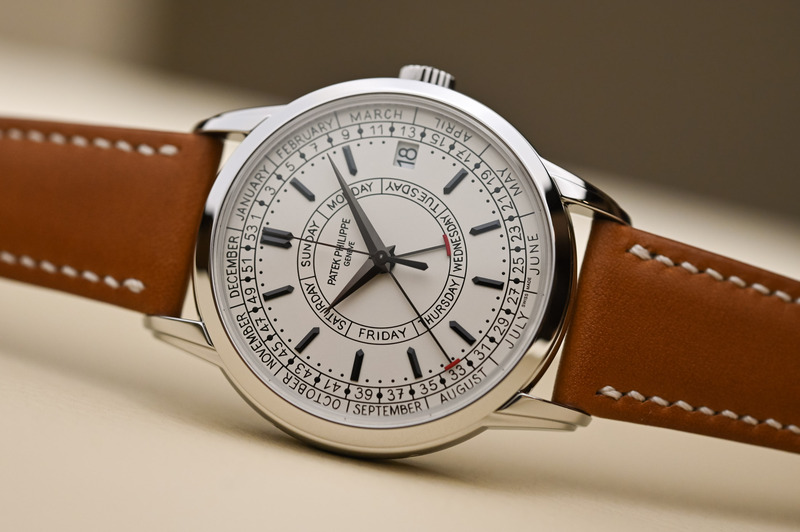 A 7-point star on the hour wheel in the centre of the movement controls the day of the week. Via a lever, a second 7-point star with an extended Sunday tip drives the 53-tooth week wheel. The calendar displays advance semi-instantaneously in discrete steps to avoid energy consumption peaks. The functions are adjusted via the crown and two correctors. The three different positions of the crown are used for winding, correcting the date and time. The date can be corrected with the crown pulled halfway out. Thanks to a fail-safe concept, the user can perform such corrections at any time of day or night without risking damage to the movement. The corrector on the caseband at 10 o’clock is to adjust the week number and the corrector at 8 o’clock is to adjust the day of the week. The number of the week has to be corrected every 5 to 6 years when the year has a total of 53 weeks. 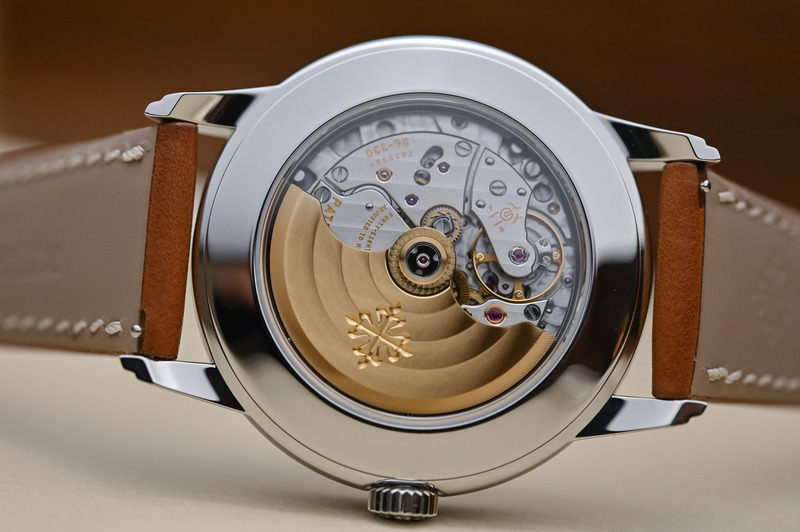 In addition to the weekly calendar mechanism, Patek has given the 5212A a brand new movement based on self-winding calibre 324, but upgraded and improved. Calibre 324 dates back to 1982 and has had many evolutions but reaches the apex of reliability in 2019 with calibre 26-330 S CJ SE. In order to distinguish the calibres, the 21k gold rotor of calibre 26-330 features a slightly different profile and is now secured with a nut, as opposed to a screw. Another update to calibre 324, originally equipped with an indirect seconds with a friction spring to prevent ‘chatter’ (vibration) in the seconds hand, is the replacement of the friction spring with an anti-backlash third wheel with split teeth, which helps save energy (patent filed) and improves balance inertia. The new calibre is also equipped with a stop seconds mechanism to allow precise time setting with one-second accuracy (like all Patek calibres of the last few years). A major upgrade regards the automatic winder. The 324 could not be uncoupled for manual winding causing wear and tear so the movement now features an uncoupling reduction wheel with an integrated clutch (patent filed) and other improvements to make mechanism more reliable. Editor’s note: you can see this all beautifully illustrated and explained by Philip Barat, head of watch development at PP, in this video. The movement features in-house goodies like the Gyromax® balance, a Spiromax® balance spring and oscillates at 28,800vph with a power reserve of 35-45 hours (still too short…) As you would expect from Patek Philippe, the finishes on the 304-part movement are superb. 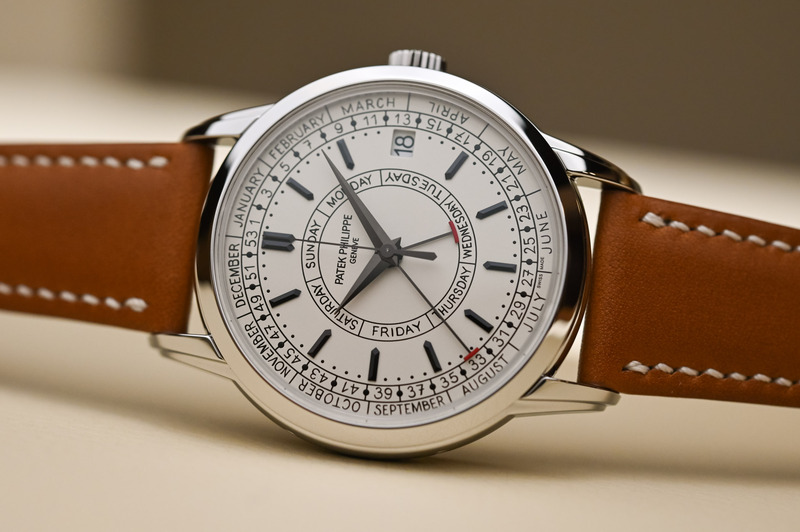 Perhaps my favourite Patek Philippe model this year, the Weekly Calendar 5212A is a refreshing, slightly more casual counterpart to the minimalist elegance of the Calatrava collection. The combination of a technical sector dial with the unexpected ‘human’ touch provided by the ‘handwritten’ numerals and writing on the dial is spot on. The only objection I can formulate regards the short power reserve; having invested so much time and energy into improving and upgrading the calibre, a wee bit more energy in the barrel would be most welcome. A weekly calendar might not be at the top of everybody’s ‘functionality wish list’, but it adds complexity and interest to the watch. 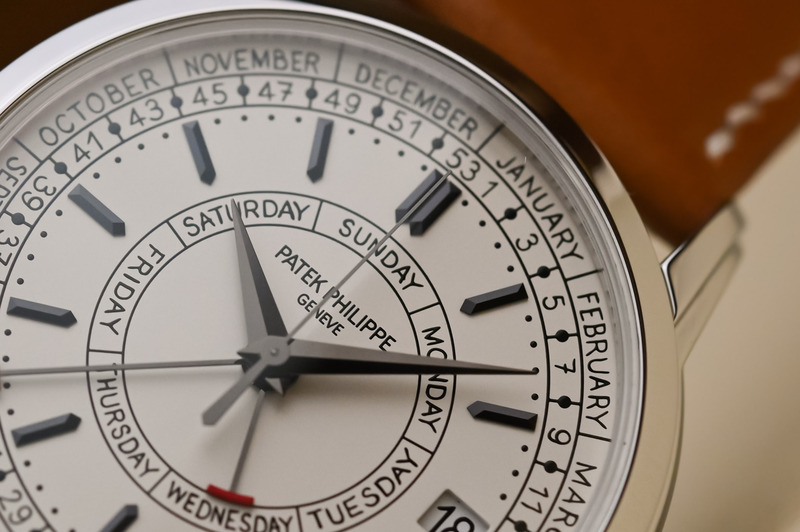 Legible, amiable, and at the same time indisputably Patek, the Weekly Calendar is a winner. 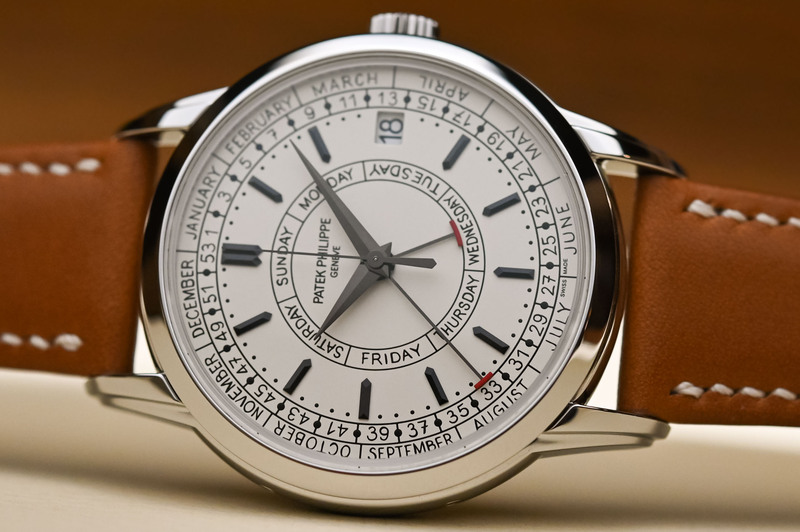 The Patek Philippe Calatrava Weekly Calendar 5212A retails for EUR 30,600. 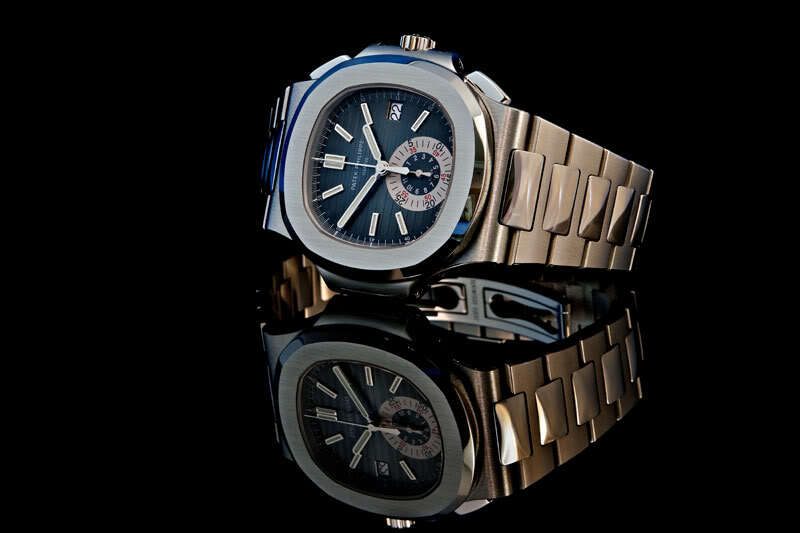 For more details, please consult www.patek.com. Looks both dull and cluttered – and the horrible date window reveals how tiny (yet again) that movement is. Possibly the worst-looking calatrava I have ever seen. Finally an expensive watch that I would actually like to own. Can’t be anything about the time that is not displayed and it is all clear and readable. Finally an expensive watch I would like to own. Can’t be anything about the time that is not shown, and it is all clear and readable. Only drawback , having to correct the week EVERY 5 to 6 years.